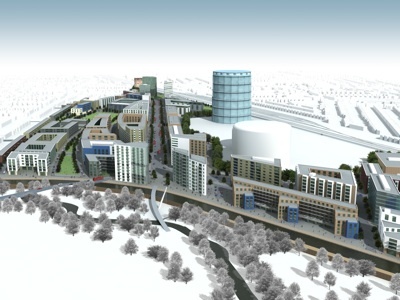 URBED were appointed as masterplanners for this 36 hectare site following a design competition in 2002. 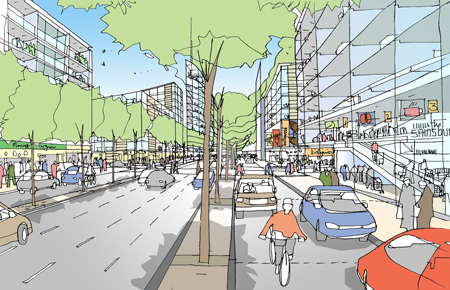 The masterplan was developed into a planning application submitted in July 2005. Unfortunately changes to regulations for development around gas holders following the fire at the Bunsfield Oil Refinery mean that the scheme is being reassessed. The URBED plan will therefore not be proceeding. It was however one of our largest and boldest plans and is reproduced here for the archive. 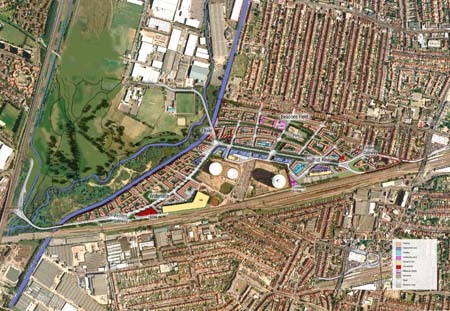 Southall Gas Works is one of the most important development opportunities in West London. The site occupies 36 hectares (90 acres) in the south western part of Southall but is beset by a range of constraints including lack of road access, proximity to a busy rail line, industrial legacy and the presence of the remaining gas infrastructure. National Grid Transco formed a joint venture development partnership with Castlemore Securities Ltd to bring the site forward for development. 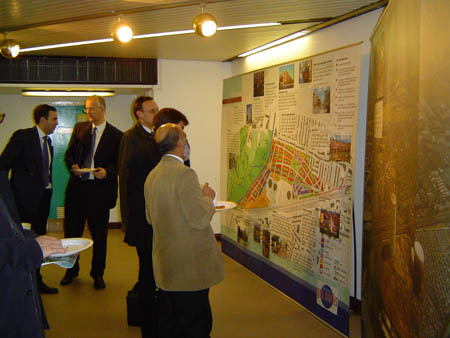 URBED were appointed as masterplanners for the site in 2002 and a planning application was submitted in July 2005 including 4,500 residential units together with retailing, leisure, office space, a secondary school, health and community facilities and airport parking.